Stage Fright is a motion picture produced in the year 1950 as a Stati Uniti production. 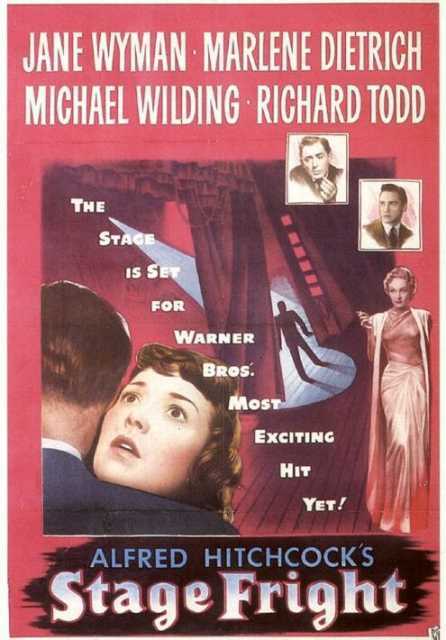 The Film was directed by Alfred Hitchcock, with Jane Wyman, Patricia Hitchcock, Miles Malleson, Alastair Sim, Sybil Thorndike, in the leading parts. There are no reviews of Stage Fright available.